Thereza Rowe's ♥♥♥ (Hearts) looks like another Toon winner, with bold artwork in a sophisticated palette. The story features foxes, sharks, chickens and kitty guards… and a quest for a lost heart. 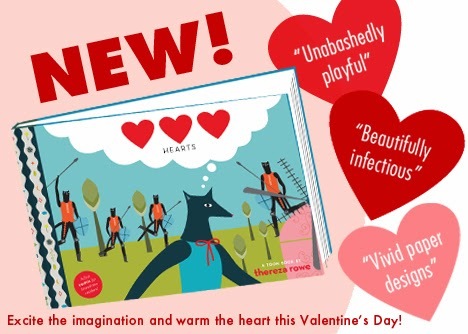 Beautiful enough to give to your grown-up Valentine, this book is perfect for beginning readers.